Summary. The economic conditions of the functioning of Georgian companies are altered today radically, which leads to the introduction of innovative approaches to personnel management. The present article deals with the basic directions of building innovative systems for efficient management of personnel based on modern technology "Human Resource Management". In the opinion of the author, creation of an innovative atmosphere implies the identification of factors that supervise innovation in organizations. In addition, the author considers that HR-manager should take consideration into these factors in the process of working with staff. Key words: personnel management, innovations, personnel management, HR technologies, HR management. Course of Georgia's economic development is directed towards sustainable development, which is necessary for the country to maintain political and economic security. Today it is unimaginable to make improvement in the economy fields without considering the existed newest tendencies. Wide range of the internal management characteristics and interrelations between the other economy fields created new tendencies and directions. One of such direction is personal management. School of social systems (Talcott Parsons, Robert Morton). Theoretical findings of these directions made a big contribution in the modern management theory. Most important works in this field belong to D. Ulrich, M. Macson, M. Armstrong, O. Svergun, I. Passy and others. 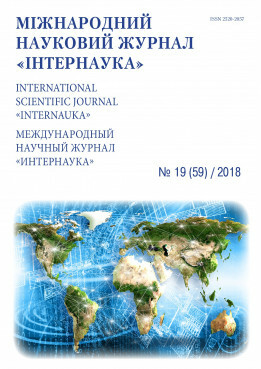 In modern Georgian reality firms have to rationalize competitive and partnership relationships to ensure efficient functioning, competitiveness and microeconomic security, oriented mainly on renewable resources and nanotechnologies, adequate response to market dynamics [4, p. 29]. It is impossible to manage the staff in the use of technology without. The staff management technologies can be considered as a new tool for enhancing effectiveness of organization activities, one of the methods of managing human resources, in particular innovative technology for staff management. This is a borderline between innovative management and personal management. The object of innovative management in the process of working with personnel is development and renovation processes, needs of enterprises or/and personnel made of different social-economic structures and personnel systems. Hereby the subject of innovative management is an innovative determinant of personnel and labor services [1, p. 432]. Innovative management of work is qualitatively different from the early technocratic principles. It is based on maintaining horizontal interactions, activation of creative works and unification of different personnel groups. The purpose of innovative management in personnel services is to create an effective management system. The efforts of HR manager shall be aimed to achieve this purpose and he/she has several obligations, which are related to selection-training-development of employees, conducting the activities related to personnel and provision of audit. HRM (Human Resource Management) is a human resource management concept, which was developed in 80s of 20th century and was widely spread in 90s. The concept was developed along with improvement of personnel management methods and principles and complication of competitive environment in which the modern organizations exist and is based on the requirements that are created by the complicated social-economic and cultural processes. In general HR management is oriented to the contributions made by each employee to improve productiveness of a company, because of that enhancement of motivation and effectiveness by different forms of engagement is a main direction of the activity. Partial delegation of professional obligations to employees requires certain skills and more loyalty from managers than it was accepted during using early methods, but in general it has positive effect to effectiveness of organization activities. Most of the organizations, which has HR department, regard provision of the services, which include transactional activities (recruiting, training, consulting, etc.) as its important function. We share the opinion of the majority of the experts, who think that major contribution to a company success is made by HR manager, who follows the requirements of an organization’s strategy requirements; he/she searches and finds the ways for maximum enhancement of work effectiveness provided by each employee. He/she conducts full cycle of working with employees, studies labor market, attracts and hires employees, conducts staff related business, develops and implements staff policies and plans, trains and promotes employees [2, p. 5-25]. Stereotypical behaviors by accustomed employees toward modernization, bad relations between management and coworkers, absence of self-realization conditions, deterioration of personal well being, insufficiency of material-technical materials and other similar factors may have a negative effect. In order to implement any innovation in an organization it is necessary to recruit and develop staff. Today more and more company uses the proactive approach to HR management as well as for PESTEL analysis as an innovative approach, which is aimed to determine a strategy that is based on external factors that have influence on a company [3, p. 399]. To assess effectiveness the organizations and companies in many countries use different systems of analysis, such as Management by Objectives, Key Performance Indicators, Balanced Scorecard, etc. Therefore a HR manager is a strategy planner; he/she shall have skills of strategy planning and system analysis, he/she shall develop measures, which is aimed to reach goals and key indicators of an organization. During the last decade basic changes were seen in the role and importance of HR management. Human potential was moved from the expenditure list, which was optimized by its reduction. Human resource optimization is made by implementing new technologies and effective work process. The modern major companies manage the personnel by one structural unit or/and outside organization, which take responsibilities on search and attraction of employees, their social-work adaptation to positions, controlling relations between employees, assessment of individual work, team creation and permanent professional trainings. Today’s changes in economic conditions of Georgian companies created necessity for implementing innovative approach to personnel. Innovation systems for personnel management enable implementation of correct and effective strategy and establishment of communication inside an organization, which has a positive effect on incomes and profits of a company. HR technologies can significantly increase management effectiveness in separate divisions, as well as in an entire organization. Armstrong M. Armstrong’s essential human resource management practice: a guide to people management; Kogan Page.-2010. - 432 p.
Guest D. Human Resource Management: the workers’ verdict / Human Resource Management Journal. - 2017. - No 9(2). - P. 5-25. Storey J. Human Resource Management: A Critical Text. London: Routledge Revivals. – 2010. – 399 p.
Tsimintia K. Microeconomic Security in Economic Security System. Tbilisi. -2018. - 144 p.